Gov. Jeff Colyer hugs Terry Brooks, the mother of Chelsea Brooks, who was murdered in 2006. Kansas Gov. Jeff Colyer on Tuesday denied pardon requests for 21 of the state's inmates. 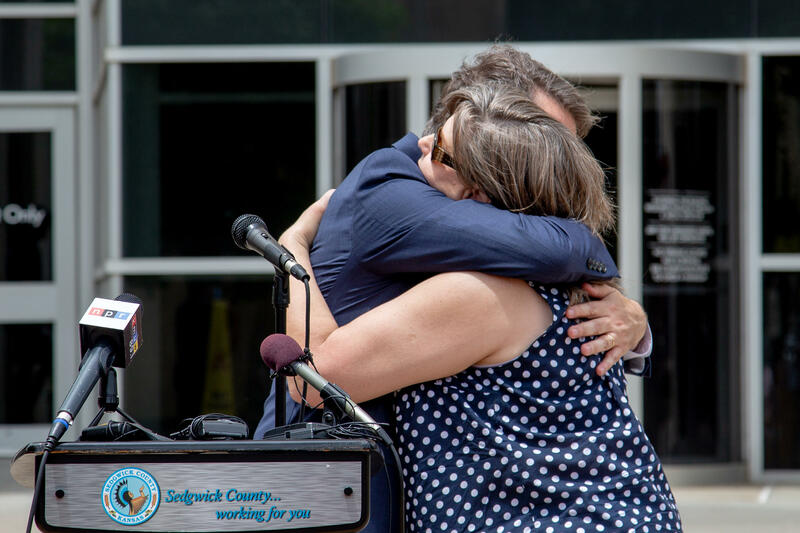 Colyer made the announcement at a press conference in Wichita. Typically when a governor holds a press conference about pardons, it’s to announce he or she is granting one; Colyer announced only denials, focusing specifically on the clemency petition of Everett Gentry. Gentry is serving 25 years to life for his role in the 2006 murder of 14-year-old Chelsea Brooks. The Wichita teen was nine months pregnant at the time. The case led Kansas lawmakers, including Colyer, to pass Alexa’s Law, which allows prosecutors to add additional charges in cases where someone harms or kills an unborn child. Colyer said he thoughtfully considered each of the 21 petitions, but that the decision in this case was easy. “This is such a heinous crime, and what had happened to this family, and having to relive this, it should not have come forward,” he said. Chelsea Brooks’ mother, Terry Brooks, told the governor that she is grateful for his decision and wants no mercy for her daughter’s killers. “We’re going to work every day that we have to make sure that they spend the rest of their natural lives behind prison bars,” she said. Colyer said if there’s ever a petitioner who can show a clear injustice, he would grant a pardon, but he stressed that he takes that power very seriously. "It should never be done for political purposes," he said. "It should never be done for political favors." Brooks’ family and friends were the only invited guests at the event. Only nine pardons have been granted by Kansas governors in the past 25 years. Gov. 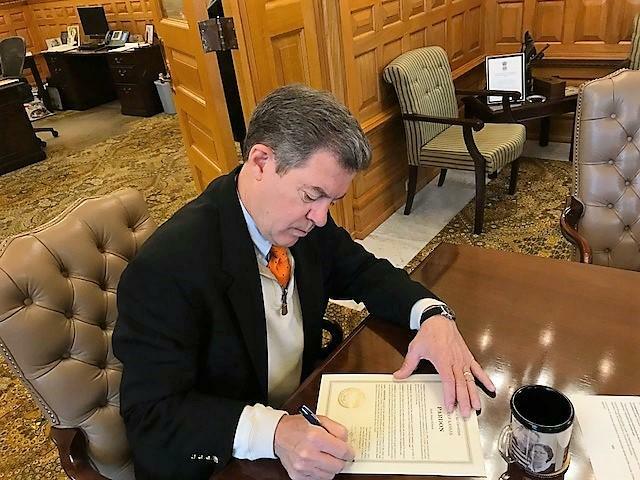 Sam Brownback said Tuesday that he is issuing a single pardon and denying 72 other requests for clemency made to his office. The action comes as Brownback prepares for a likely departure to join the administration of President Donald Trump.